One of the biggest blessings that I enjoyed during 2011 was the privilege of meeting weekly with my friends during General Conference Book Club. 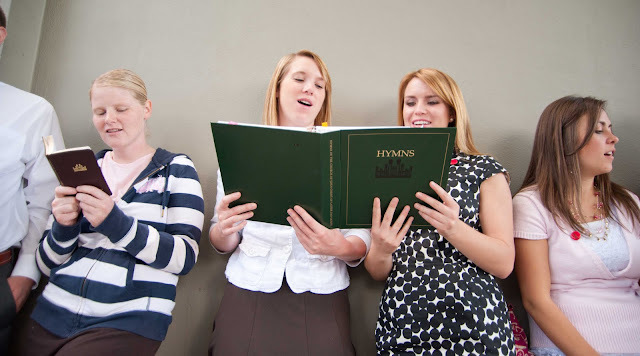 If you are looking for a way to incorporate good friendships and words of the prophets into your life in 2012, I encourage you to either form a GCBC of your own by inviting ladies from your ward to study conference talks with you or follow along online at Stephanie's blog, where she posts a new conference talk each week. You can read, watch or listen to any of the talks listed here, by clicking on the links above. Thanks again, Stephanie and my friends who shared so much of their time, love, and wisdom with me during 2011! great idea, I might join the online group. This is an awesome idea and I think I will join this online group. Blessings to you for the motivation. Oh how I wish I lived in a area with more active members. Our struggling little branch is so sad. And so far apart. I study the talks myself and love them so much, but it would be wonderful to talk to others about them. Guess what. I am going to do this one with my friends around here. I really think we would enjoy it. We get together a lot, but I like the idea of having something "deep" to talk about. Maybe I'll have people pick their favorite conference talk and present it like at a regular book club, then open it for discussion. I'm excited!